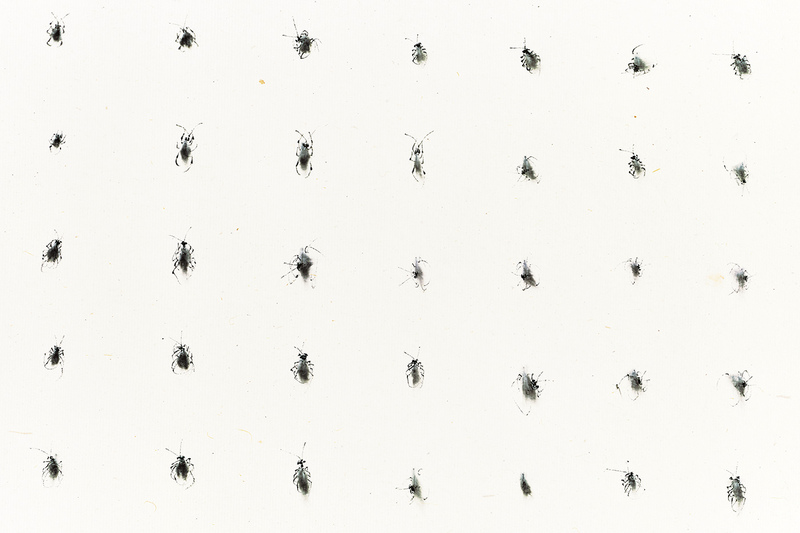 Hong Kong artist Hung Fai remembers his first experiment with ink art. Hung is the son of an acclaimed traditional painter, Hung Hoi, and when he was a little boy he found himself in his father’s studio, next to brushes, paint and a vast landscape painting. As he took in the scene of mountains and rivers, he noticed spaces that had been left blank. He thought it was an oversight, oblivious as he was to the aesthetic prescriptions of the millennia-old art form, which reveres the meditative qualities of white space. With rash and irreverent ingenuity, he picked up a brush and painted rocks in an otherwise empty river. Hung senior, whose own father had passed down to him the ancient and unforgiving craft, was appalled. He made painstaking alterations to fix the piece. Hung Fai’s childhood experiment has always been a point of contention between him and his father. Now, though, the aesthetic values that divide them have inspired a collaboration that looks at and pushes the boundaries of ink art, a long developing art form that is now enjoying unprecedented global attention. The Chai Wan-based artist’s project involves a series of twelve pieces based on heritage, imitation and innovation, exemplifying how ink art is being radically rejuvenated to resonate in an increasingly transnational and technological age. A self-professed conceptual artist, Hung Fai creates layered pieces, inviting his father to paint landscapes over which he adds his own details, pouring water over his father’s work such that they appear to be disappearing. It is a project that meditates on the journey undertaken by art as it passes through generations, the implication being that the classical influences form a vital, if fading backdrop in the development of a new visual language. This principle is shared by pioneering Chinese ink-and-brush artists across Hong Kong, mainland China and Taiwan who are deeply aware of China’s ancient cannon and the moral and aesthetic imperatives that come with it. They draw upon them to create art that reflects on and grapples with modern Chinese society. “Many generations of artists learn by imitating their masters,” says Hung Fai. “It’s a way of carrying on and continuing the heritage.” Through imitation and mastery of traditional skills, new art emerges out of the accidents and aberrations of the imitator whose interior world differs dramatically from that of his forebears. Hung Fai’s art will be showcased at this year’s Ink Asia, a Hong Kong fair that brings together artists, gallerists, collectors, academics and Chinese ink art lovers. The fair had its first ever instalment last year. This year, 12 galleries and hundreds of artists are represented. Art aficionados and dealers say the fair offers a long-awaited platform for an art movement that has only recently emerged from the shadow of trendier contemporary counterparts. “In the past ten years, contemporary art inspired by the West was very strong and ink art became marginalised,” says Calvin Hui, director and founder of Ink Asia. “The first phase of Chinese contemporary art market was focused on pop art and cynical realism. But then the ideology of Western aesthetics started to seem a bit tired,” he says. As those boundaries have blurred, ink art has expanded to include sculpture and multimedia projects, leaving the medium’s definition up for interpretation. 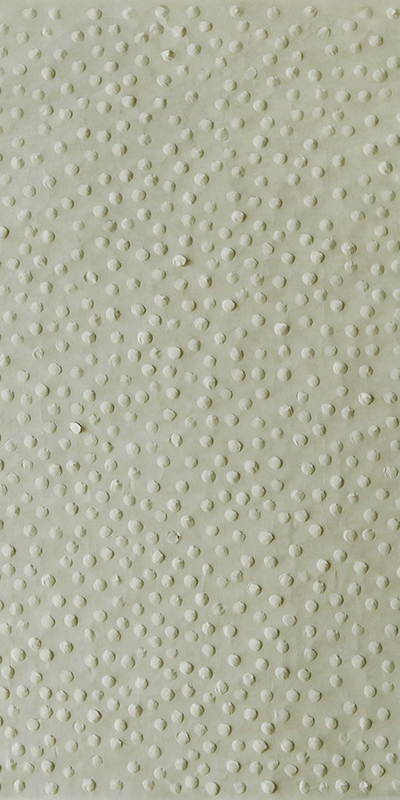 One artist might tell you it involves some ink, a brush and China’s scroll-like xuan rice paper. Another might speak in less tangible terms of an “ink spirit” that points to metaphysical and philosophical undercurrents of Chinese society past and present. 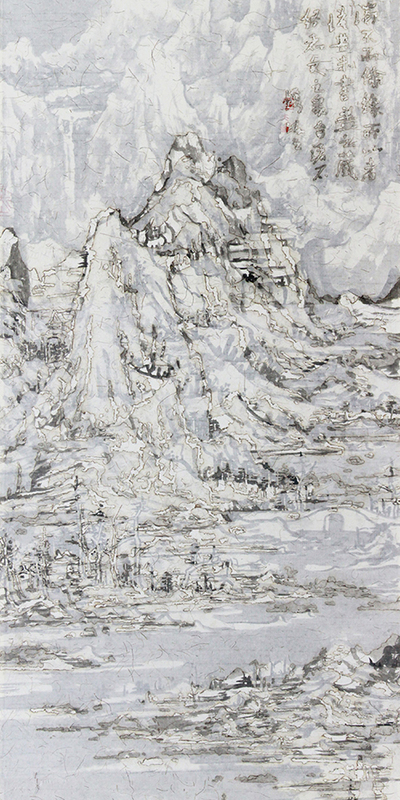 Some artists play with calligraphy, drawing upon China’s long and reverential relationship with the written word, while others rip up pieces of rice paper to create bold mountain landscapes that point to abstract influences alongside China’s love of landscape painting. Demonstrating the latter technique at the Ink Asia will by a piece by renowned experimental artist Qiu Deshu. “Fissuring, 2015″ belongs to a series of works using a signature style Qiu has been exploring since the 80s, which both honours Chinese history and offers a scathing critique of it. 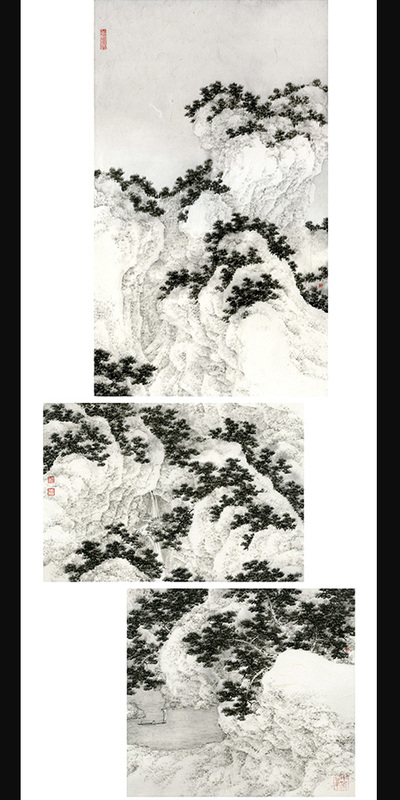 Exploring the imagery of cracks, Qiu’s jagged terrains evoke the ruptures in a creative lifespan that began with his early education in traditional Chinese painting. Drawing on experiences through and after the Cultural Revolution, his works are imbued with complex textures and layers that speak to China’s checkered, complex, and shifting ideological make up. 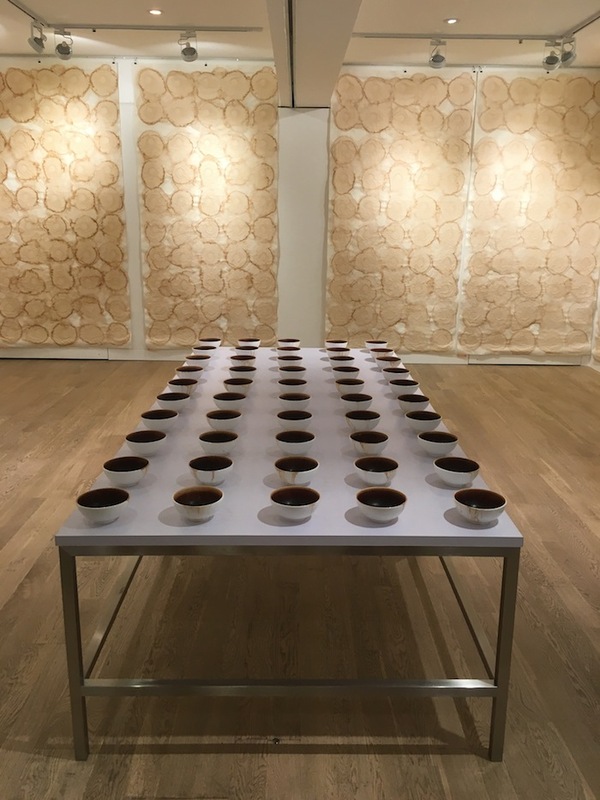 Other artists swap ink for pu’er tea, or even coffee and tobacco, including up-and-coming Hong Kong Californian artist Chloe Ho, whose works are inspired by psychology. She injects aspects of her own life into her pieces, taking a cross-cultural artistic approach that explores her identity as a global citizen. The tensions that arise in this ongoing debate over where the boundaries of ink’s aesthetic and philosophical terrain lie are what make the art form so fresh and interesting. Implicit in this dialogue are existential questions pertaining to place and nationhood in a world of increasingly porous borders. “The contemporary ink artists aren’t new at all, and fans of ink art have been collecting for a long time,” says Katherine Don, the head of Sotheby’s contemporary ink category, which was established in 2013, and which encompasses works from across Asia. “But with platforms like Ink Asia, there is a new focus of this huge market of ink artists that have been undervalued relative to their historical and cultural significance.” New collectors are coming in each season, she says, with a healthy mix of Western and Chinese enthusiasts. As the art market becomes more global, greater attention is paid to non-Western categories. 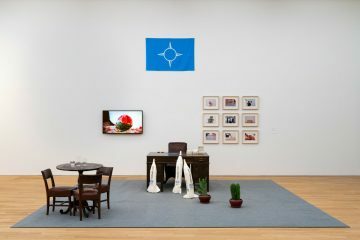 Artists have become increasingly international, which has also played a role in the diversification of the medium’s collector base, with museums abroad snapping up works that fuse Eastern and Western tastes. 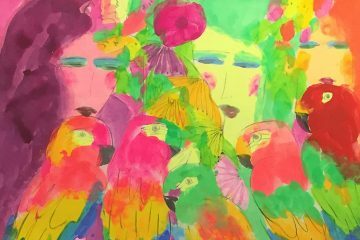 “Contemporary artists offer intellectual and technical depth, [while] ink painting requires rigorous training, and it’s very personal, and very expressive,” says Don. That holds true for artists from across the Chinese world. 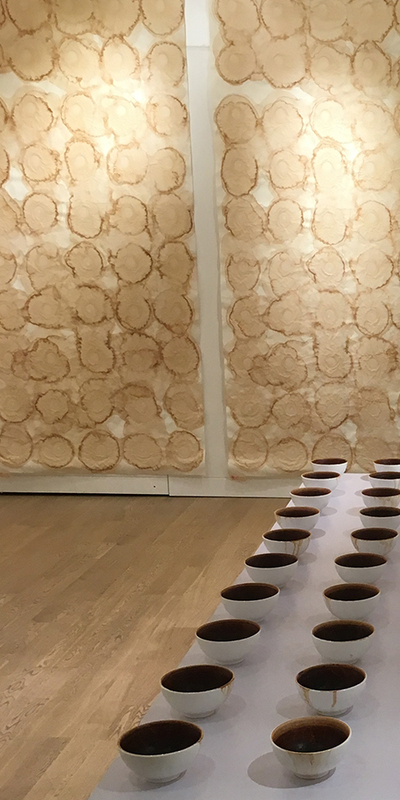 Mainland Chinese artists are exploring what ink art can become in the modern age, including the visceral and spirituality-laced abstractions of Shanghai-born, San Francisco-based Zheng Chongbin, the reflective tea-pouring installations of Beijing’s Zhang Yu and the incense-burning calligraphic works of the Shanghainese Wang Tiande. 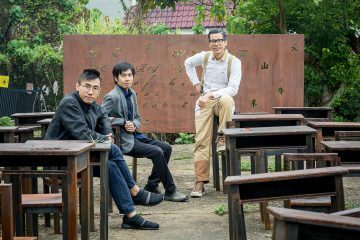 Taiwan is also home to an ever-diversifying network of ink innovators who draw from China’s classical canon. 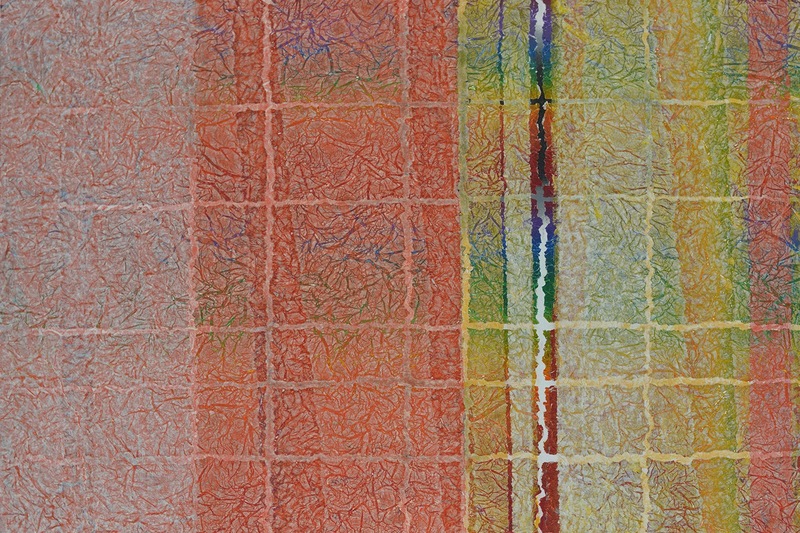 For its part, Hong Kong has played a particularly important role in ink art’s development. “Hong Kong gave many artists a safe haven in the 1960s,” says ink art specialist Daphne King-Yao, whose gallery Alisan Fine Arts has been promoting the medium for decades, and who will be representing artists across China at Ink Asia. When Mao Zedong unleashed the Cultural Revolution in 1966, ink-and-brush artists were condemned as elitist. Many artists sought refuge in Hong Kong. Among the artists who came to Hong Kong was Guangzhou-born ink master Lui Shou-kwan, whom Alisan Fine Arts began exhibiting in 1984 and have since held four solo exhibits in his name, alongside two retrospectives. 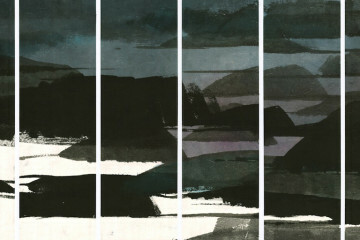 Lui is credited with starting the New Ink Painting movement which draws on traditional Chinese landscapes as well as Western aesthetics to create modern Zen-inspired abstractions. His body of work served as a wellspring of inspiration for the generations of ink innovators that followed. Hong Kong ink art stalwart Koon Wai-bong, whose works have been exhibited globally and who teaches at Hong Kong Baptist University, agrees that Hong Kong is uniquely poised as a foothold for contemporary ink art. Because Hong Kong did not experience the Cultural Revolution, artists here are able to connect with Chinese antiquity in ways that would be more difficult to achieve on the mainland. Hong Kong’s lack of internet censorship helps, too, as artists can absorb new influences from abroad. Koon’s works, which will also be exhibited at Ink Asia, include ornate landscape installations in a series of panels that evoke the way we experience nature in an urban world: through screens and frames. His work is rich with historical significance and symbolism. 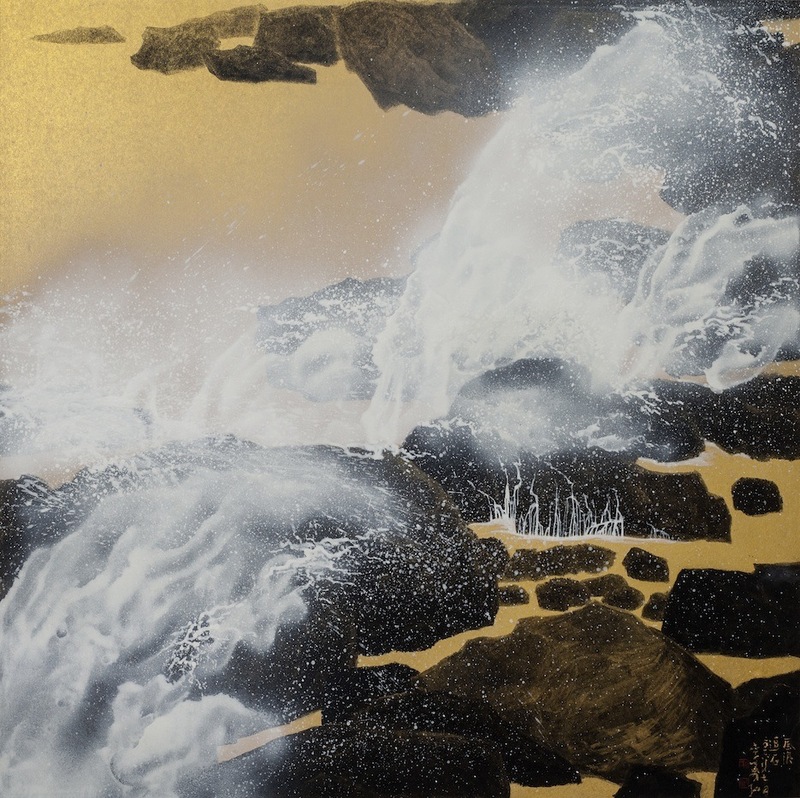 Koon is particularly drawn to natural settings not only for their Taoist overtones, but also because they enable him to feel a stronger connection to the ancient world. Koon is optimistic that the fair will open an exciting new chapter for ink art as it becomes more accessible to a global audience. “Ink art is transcultural,” he says. “It might appear to be alien [to Western audiences] but more and more people will learn to read Chinese art.” As ink art spreads around the world, more people will understand Chinese motifs, mores and aesthetics. He draws a parallel to abstract art, which began as an obscure and inscrutable language, but has now become one that is widely understood. As cultures, communities, and nations the world over are faced with increasingly heated debates surrounding identity, heritage and place in a globalised world, many of the questions raised by contemporary ink artists here will resonate abroad. “Hong Kong would not be cosmopolitan without its cultural heritage – this place would just be any other Chinese city,” says Hui. He believes the historical excavation work of modern Chinese artists will come to play a crucial role as art enters a new transnational chapter. “There is no global artist who doesn’t credit their identity when they interact with the world. We are part of the world but we also have our own traditions,” he says. Ink Asia 2016 takes place at the Hong Kong Convention and Exhibition Centre in Wan Chai from Friday, December 16 to Sunday December 18, 2016. 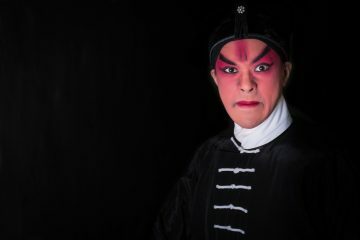 For more details visit inkasia.com.hk. Ink art fair Ink Asia is turning Hong Kong into a springboard that will launch an ancient Chinese art form to new global heights.